Creating the perfect workspace to run your blog is extremely difficult if you don’t have a lot of space to work with. I think working at a desk is really important and it definitely makes you be more productive with your time too. Whether you’re at school, college, university or self-employed creating the perfect space is essential. I remember the days at university with my desk, which was literally the SMALLEST space ever. I remember I used to keep my printer underneath my desk because it was too big for the desk. Enter the new HP Deskjet 3720! If you’re looking for a space friendly, convenient and cheap to use printer you’ll be obsessed with this printer (like I am!) This printer is the world’s smallest all-in-one printer and it lets you print from any mobile device. 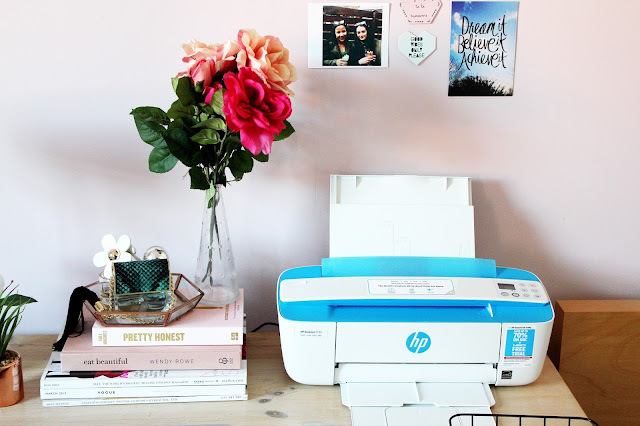 You can print from your phone using the HP Social Media Snapshots App and photo paper (which is the perfect size for Instagram) or you can just print from your laptop wirelessly. HP also have an affordable replacement Ink service which allows you to cut your printing costs by more than half of what you’d usually spend. The service can also monitor the levels of ink in your printer wirelessly so you’ll never run out (winner!) And starts from just £1.99 a month, which you can cancel at anytime. 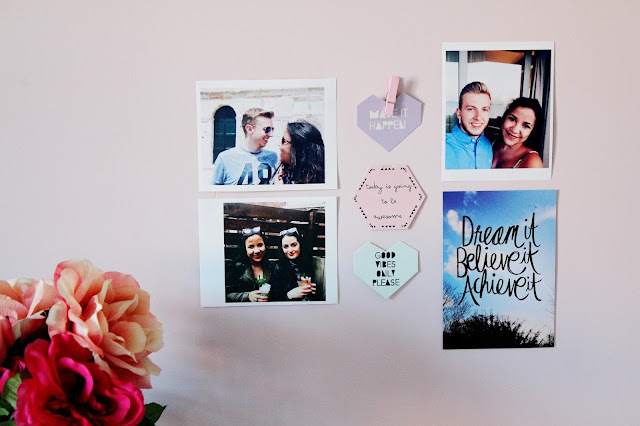 The photos in the picture above with me in are printed on the HP desk jet 3720 and I'm so impressed with the quality. 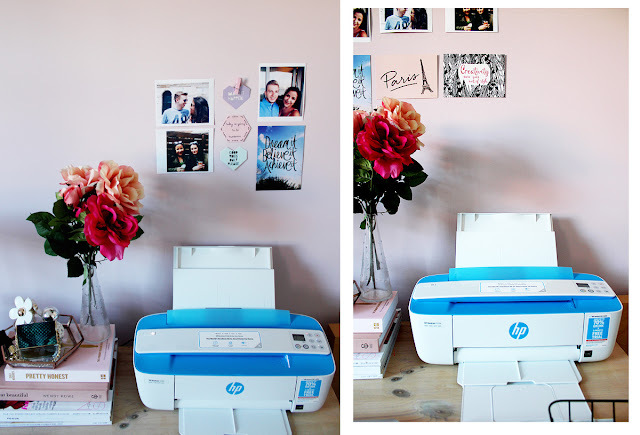 I find printing photos with this printer extremely easy thanks to the HP Social Media Snapshots photo paper and I think it’s so handy knowing you can print photos at home and for it not to cost an arm and a leg. I think this printer would be so useful if you’re currently doing an arts course at university (like I did) because I constantly used my printer! Anyway, onto the other point of this post, which is showing, an insight into my workspace and where I do (most) of my blogging work. 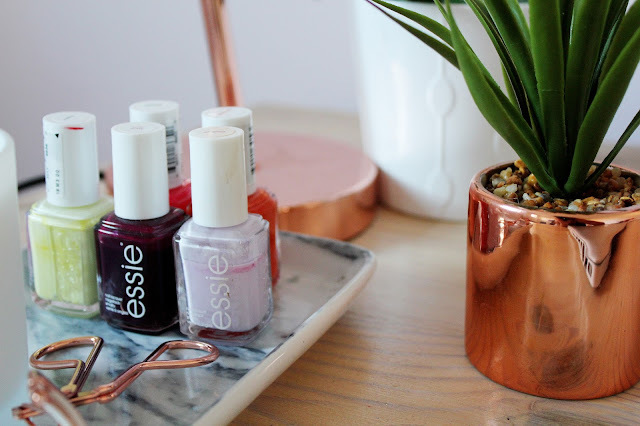 I think it’s important to make your space personal in order to work more productively so finishing touches (and photos) work an absolute treat. I like my desk to be aesthetically pleasing so I keep a few coffee table books, magazines, nail polish and perfumes on my desk. 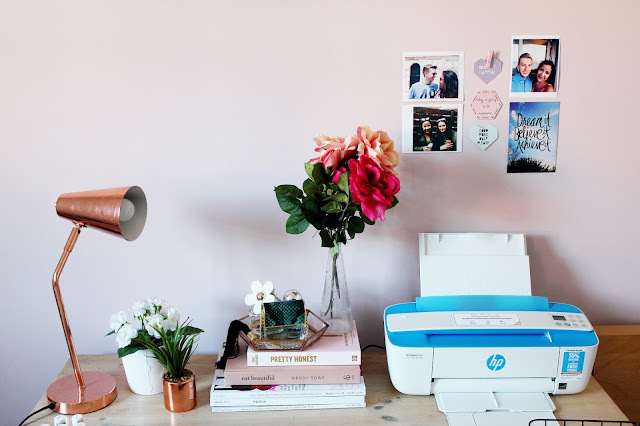 If you would like to win your own HP Deskjet 3720 with a year’s worth of HP Instant Ink and a pack of HP Social Media Snapshots Photo Paper, simply follow me on Instagram (@fashiontrain) and share a photo of your desk-space on your own Instagram account with the hashtag #HPShelfie. You can buy the new HP Deskjet 3720 here. HP has always produced great quality products. Thanks for sharing about this product. I will look into purchasing this printer to upgrade from the current HP printer I have. 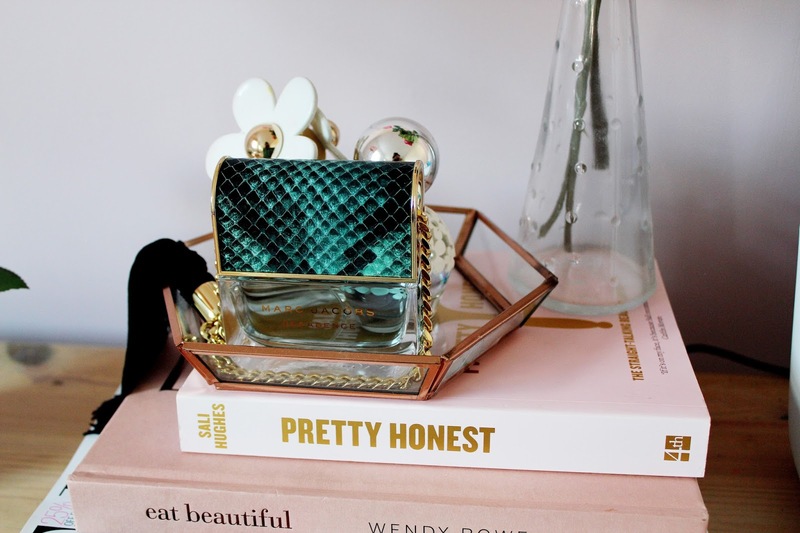 I totally agree & I am obsessed with Marc Jacobs Decadence!! I love the photos in this post and your cute little photo collection on the wall! 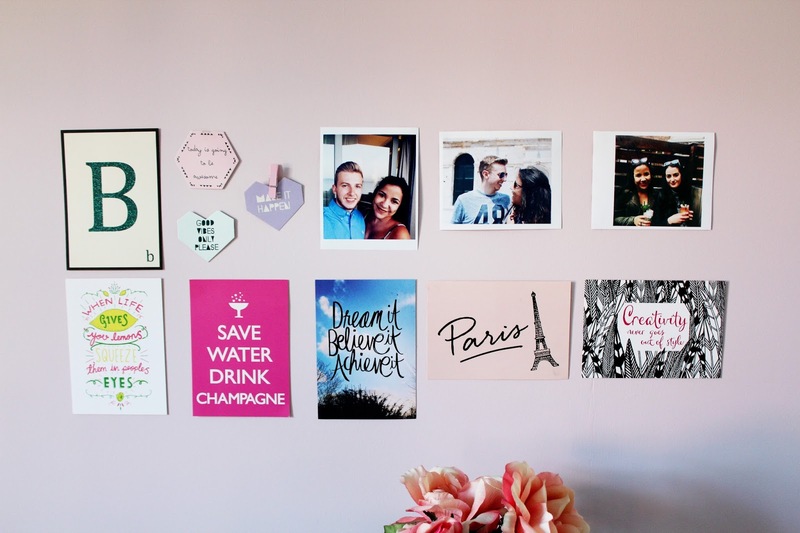 Aww your workspace is so cute.